During National Volunteer Week (April 10 - 16), we've been celebrating volunteers from all across our organization. So today, we thought we'd share just how much of an impact these volunteers have on the people we serve. Take a look at some of the feedback we've gotten from the participants in our Professional English Conversation Circles and LINC Conversation Circles. In these ECCs, volunteers support participants in building their language skills and increasing their understanding of Canadian workplace culture. "I really like the idea of this kind of ECC; it helps me in navigating the job environment in Canada." "It's a very valuable tool for encouraging spontaneous speech in a safe environment." "This class helped me speak English so people can understand me - and I gained confidence." "I became more knowledgeable about job culture, some specific idioms and how to be ready for certain situations." "Attending English Conversation Circles has helped me to get a job." As National Volunteer Week continues, we thought we'd take a day to thank the volunteers who participate in our weekly English Conversation Circle (ECC) at the Canadian Centre for Language and Cultural Studies. The success of drop-in Conversation Circles like these really is dependent on the passion and skills of our volunteers. They are able to create a welcoming atmosphere that makes participants feel comfortable enough to open up and chat. Ultimately, this informal conversation helps to build each participant's confidence in speaking English, and also creates opportunities for newcomers to network and build relationships. But rather than hearing us go on and on about how awesome these volunteers are, we'll let one of our ECC participants tell you. Last year, Shaobin (who has also volunteered with NYCH) wrote a thank you letter to the volunteers in our Conversation Circles. In the letter, he describes volunteers by saying, "They are more like friends. 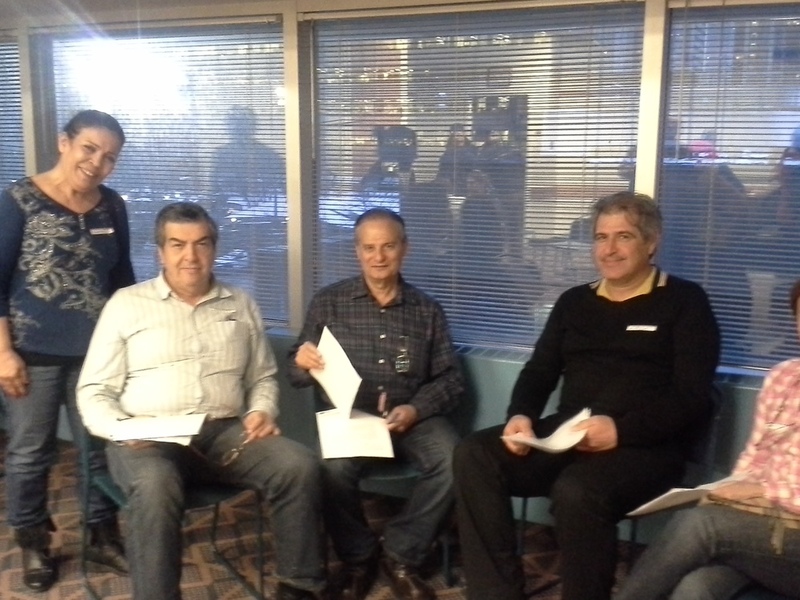 Participants in these groups feel more relaxed and it is easier to become confident and comfortable." Shaobin continues, "They help us to make a better life and become better Canadians. They help Canada to be a better place." Wow - we couldn't have said it any better! Read Shaobin's full thank you letter here.